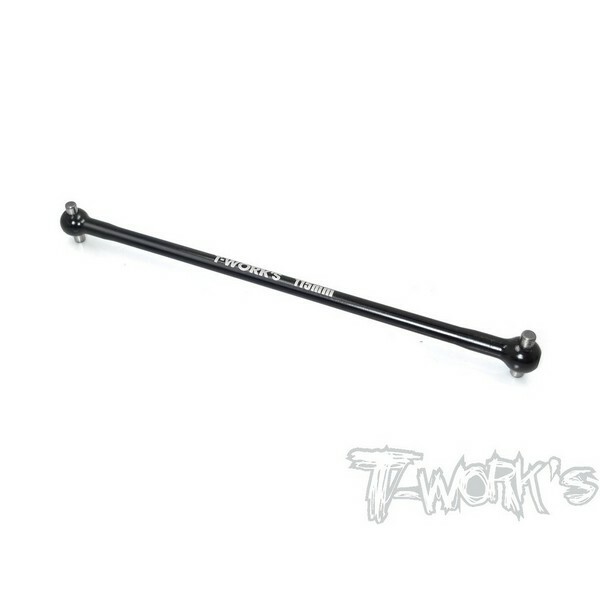 TO-245-M2 T-WORKS Black Hard Coated 7075-T6 Alum.Light Weight Wide Offset Wheel Hub +2mm ( For Mugen MBX6/7/7R/MGT7/MBX8 ) 2pcs. 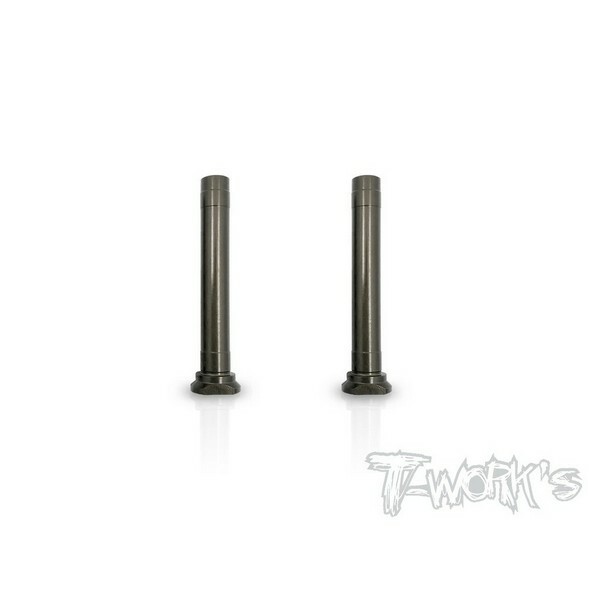 TO-198-MBX8 T-WORKS 7075-T6 Hard Coated Lower Shock Mount Pins ( For Mugen MBX8 / MBX8 ECO) 4pcs. 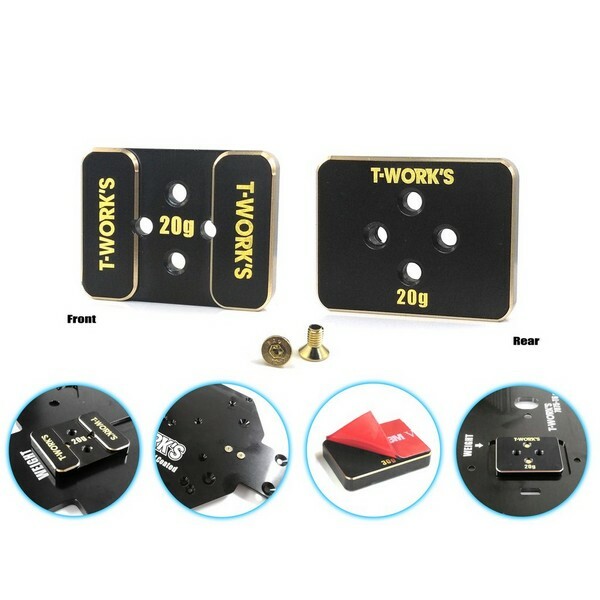 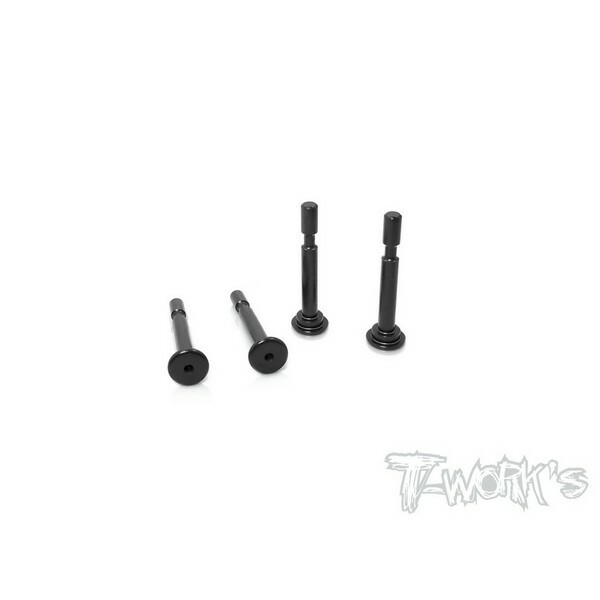 TO-198-RC8 T-WORKS 7075-T6 Hard Coated Lower Shock Mount Pins ( For For Team Associated RC8 B3.1) 4pcs. 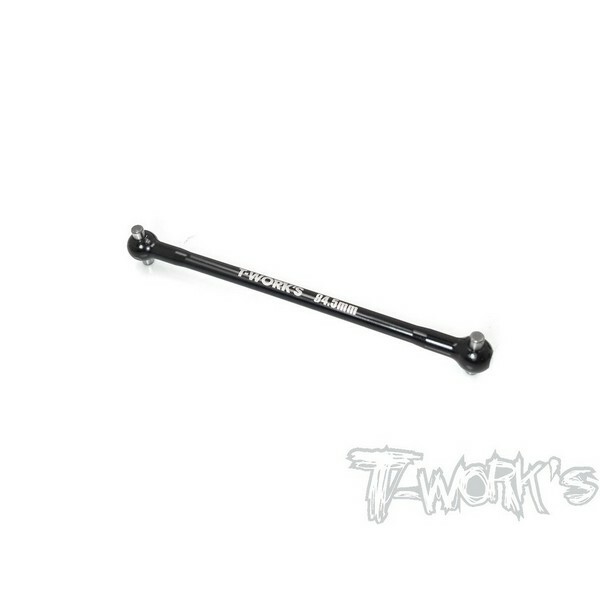 TO-245-M1 T-WORKS Black Hard Coated 7075-T6 Alum.Light Weight Wide Offset Wheel Hub +1mm ( For Mugen MBX6/7/7R/MGT7/MBX8 ) 2pcs. 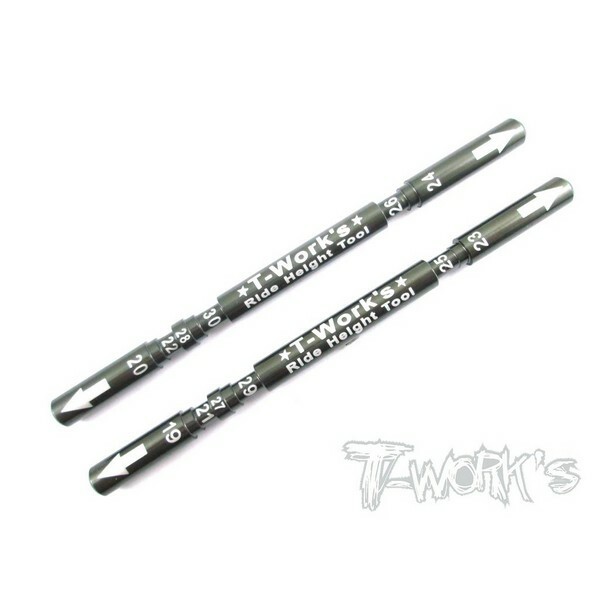 TT-005 T-WORKS Buggy Ride Height Tool Set ( 19 to 30mm ) 2pcs. TO-245-M T-WORKS Black Hard Coated 7075-T6 Alum.Light Weight Wheel Hub ( For Mugen MBX6/7/7R/MGT7/MBX8 ) 4pcs. 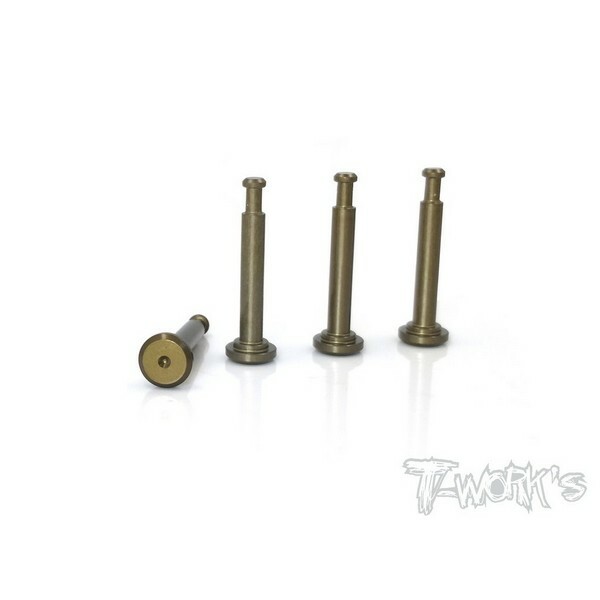 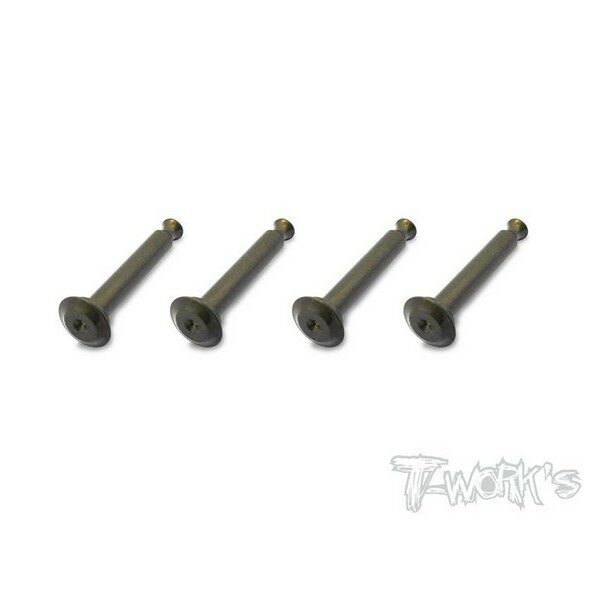 TP-095 T-WORKS 64 Titanium Lower Shock Mount Pins ( For Team Associated RC8 B3.1 ) 4pcs. 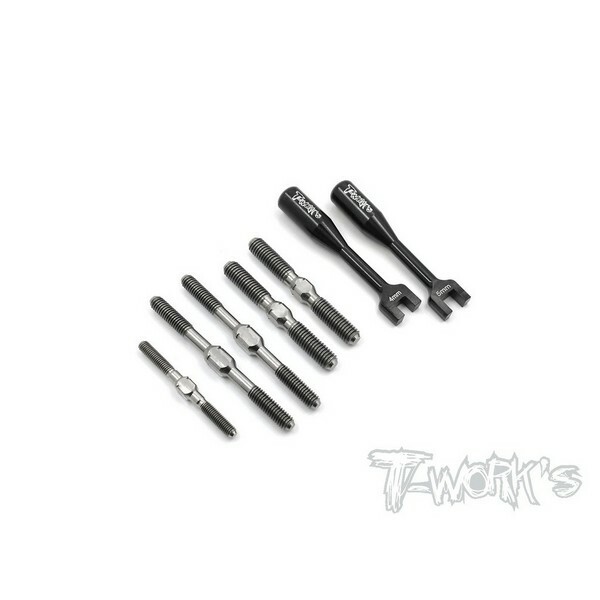 TP-086 T-WORKS 64 Titanium Lower Shock Mount Pins (For Mugen MBX8) 4pcs. 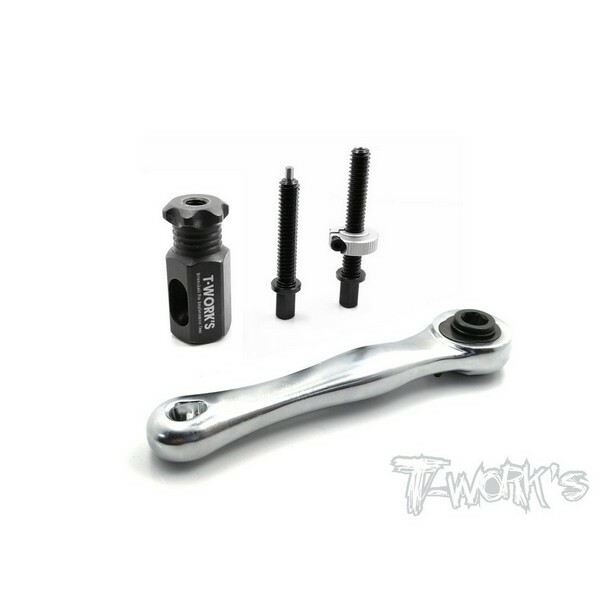 TA-106B T-WORKS Needle Head Oil Bottle 20cc. 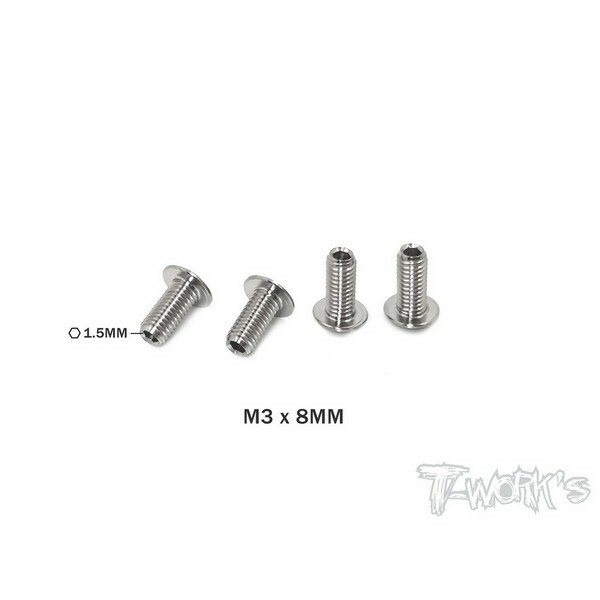 (Blue) 4pcs. 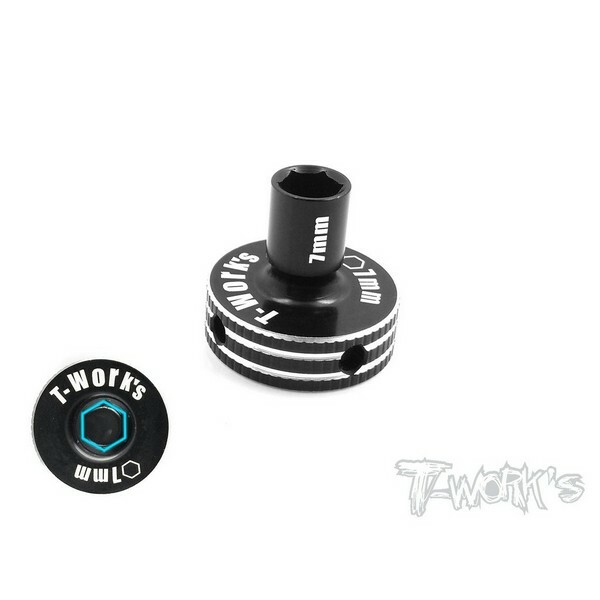 TA-106O T-WORKS Needle Head Oil Bottle 20cc. 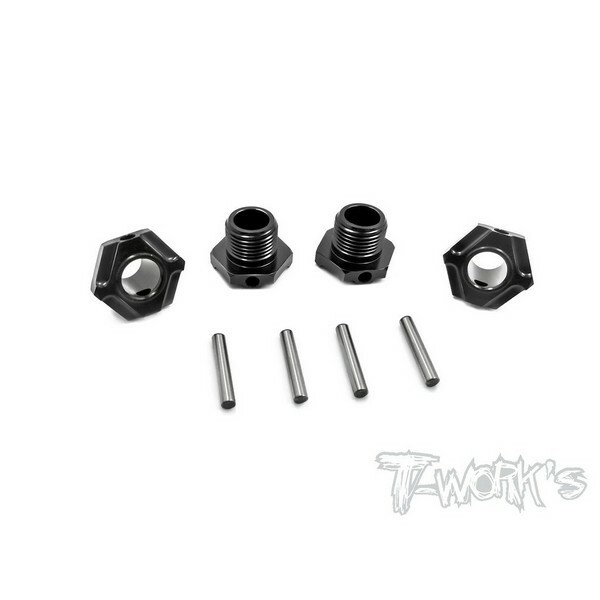 (Orange) 4pcs. 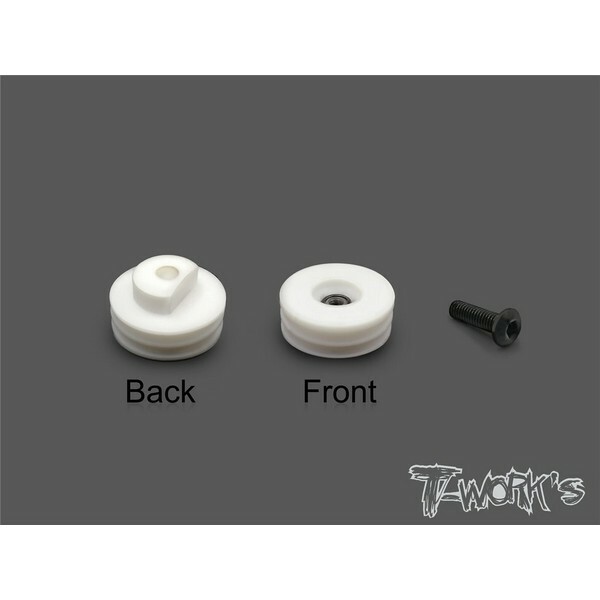 TA-106R T-WORKS Needle Head Oil Bottle 20cc. 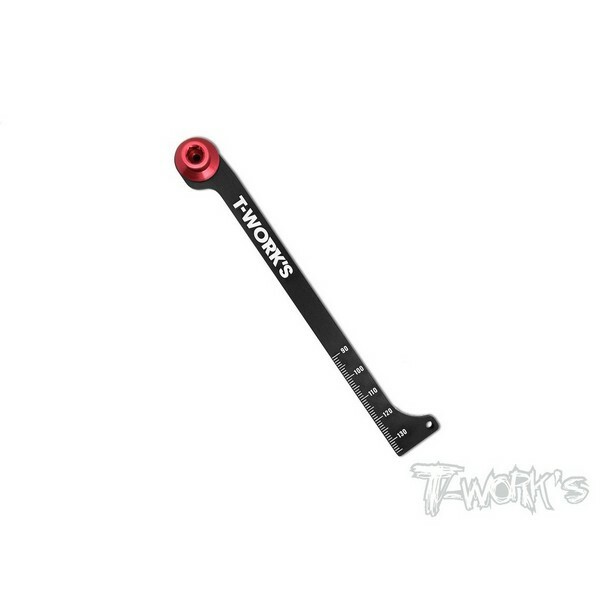 (Red) 4pcs. 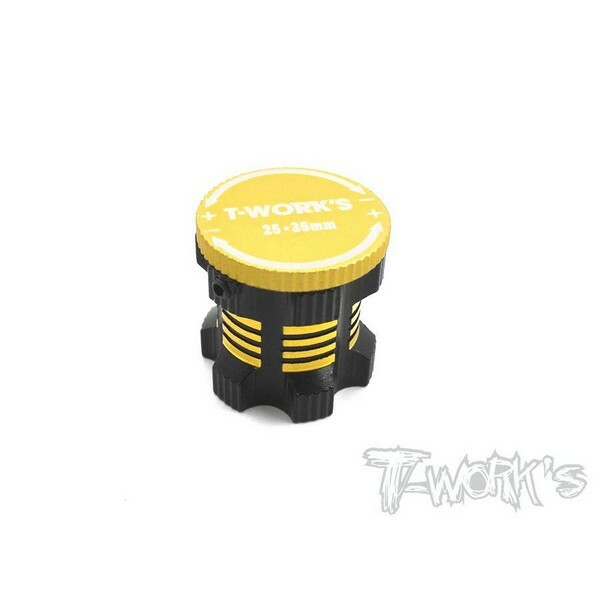 TA-106BK T-WORKS Needle Head Oil Bottle 20cc. 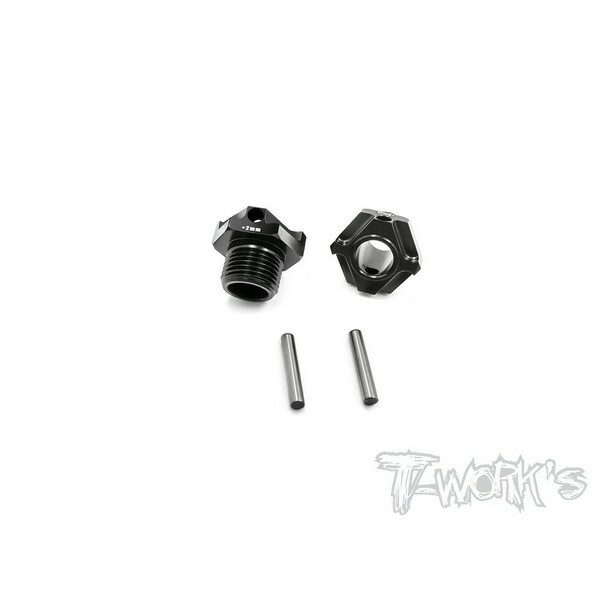 (Black) 4pcs. 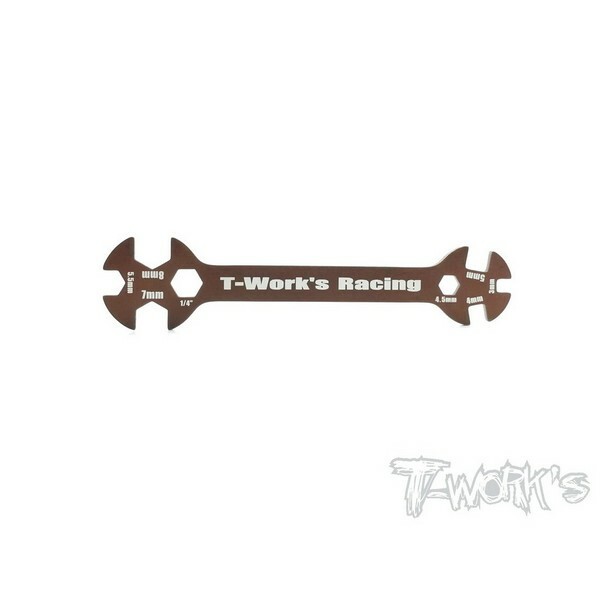 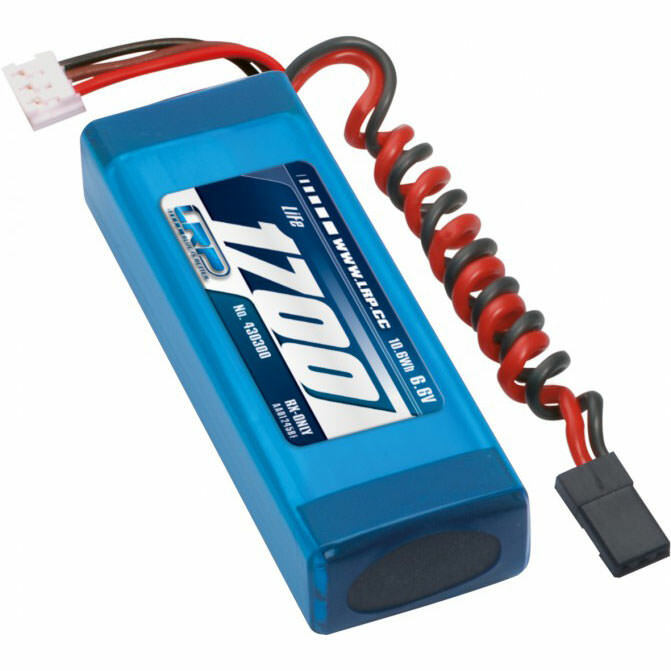 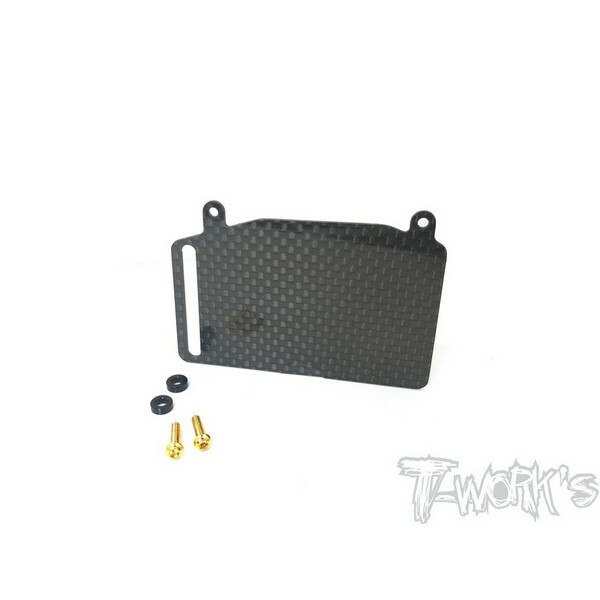 TO-263-B T-WORKS 7075-T6 Alum. 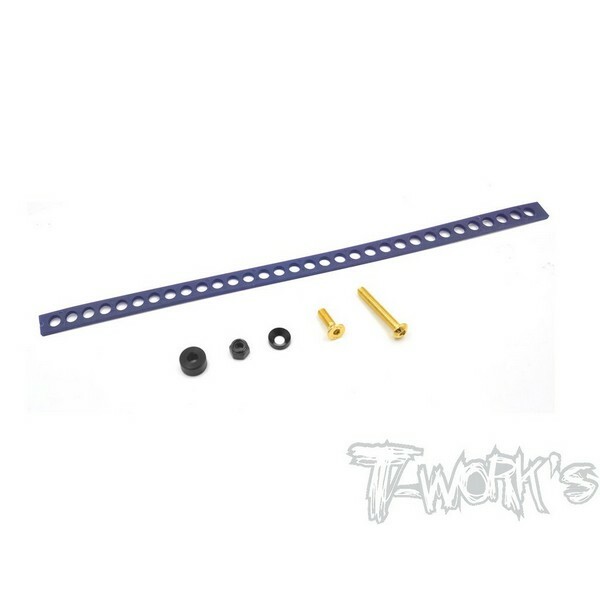 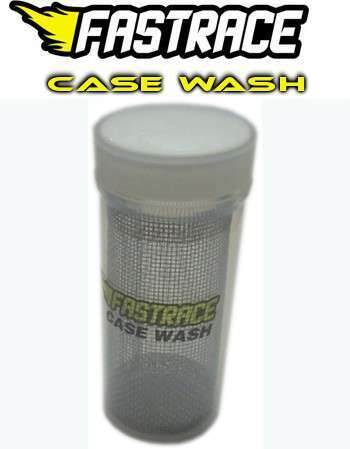 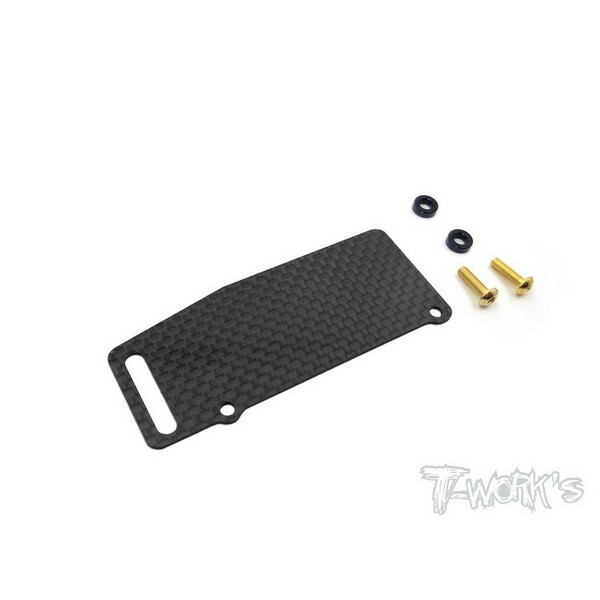 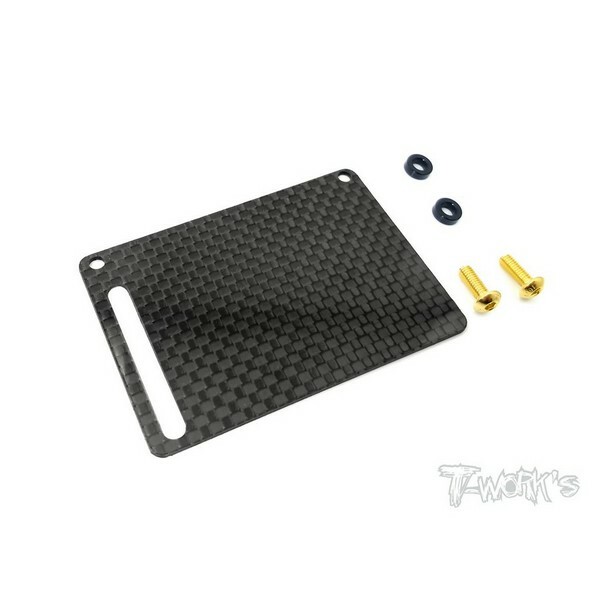 Wing Side position Spacer ( For Mugen MBX8/ 7R/7 ) 2pcs. 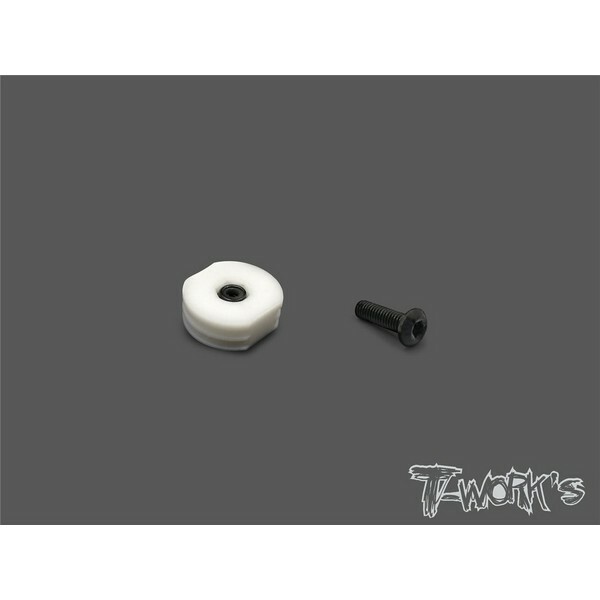 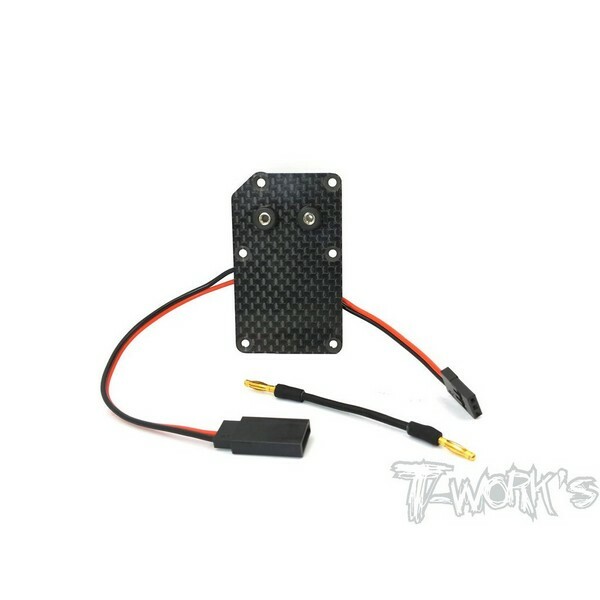 TO-263-A T-WORKS 7075-T6 Alum. 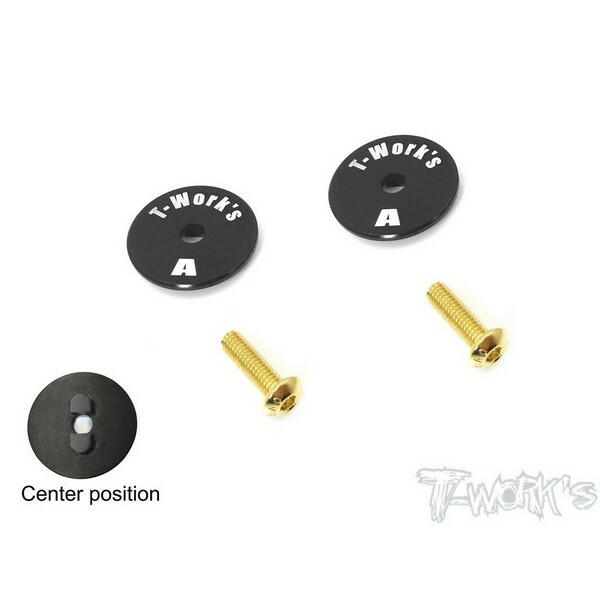 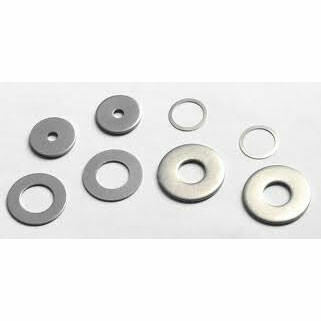 Wing Center position Spacer ( For Mugen MBX8/ 7R/7 ) 2pcs. 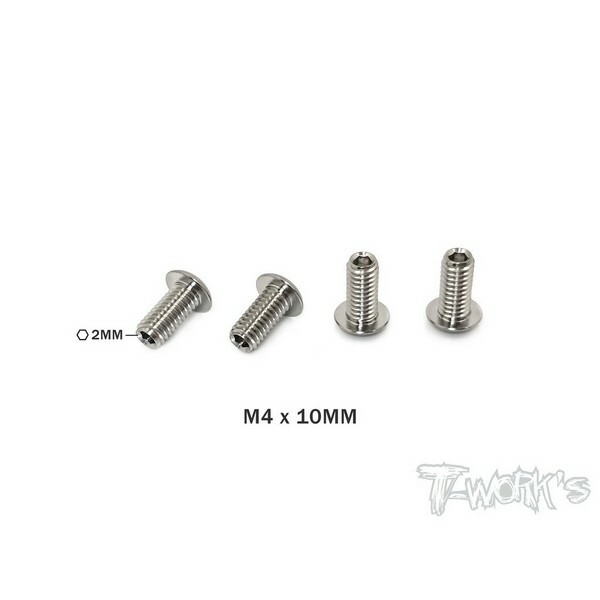 TP-087-C T-WORKS 64 Titanium Down Stop Screws ( M3 x 8mm ) 4pcs. 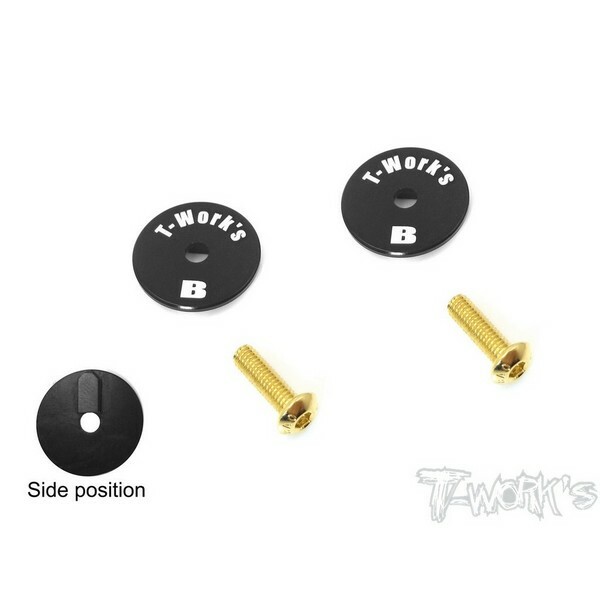 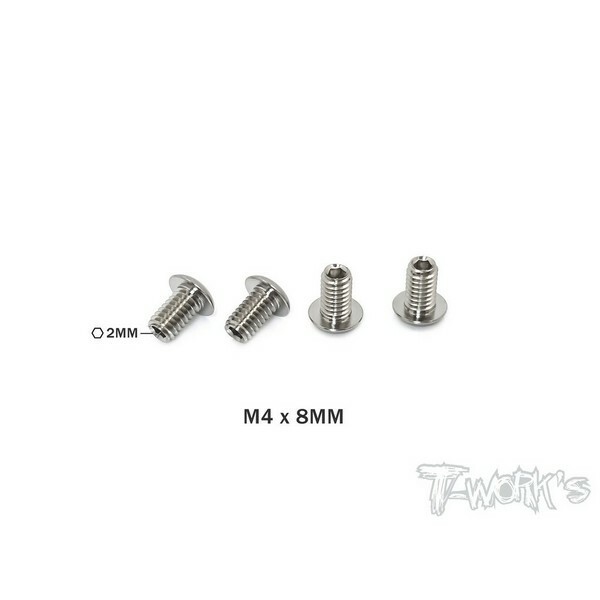 TP-087-B T-WORKS 64 Titanium Down Stop Screws ( M4 x 10mm ) 4pcs. 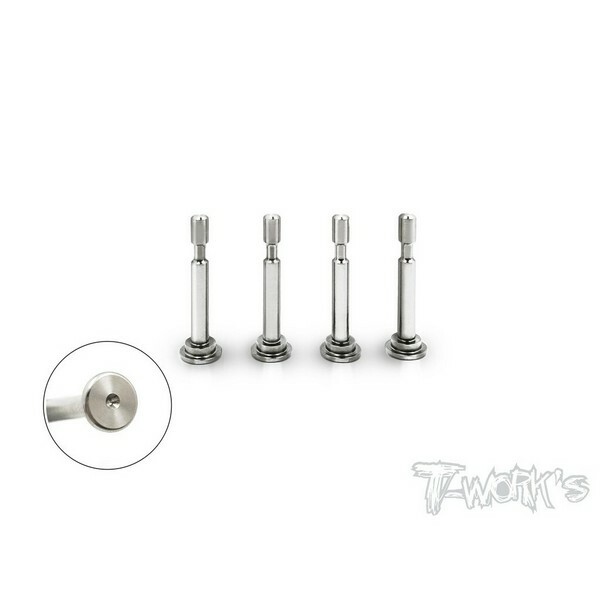 TP-087-A T-WORKS 64 Titanium Down Stop Screws ( M4 x 8mm ) (For Xray T4'19) 4pcs. 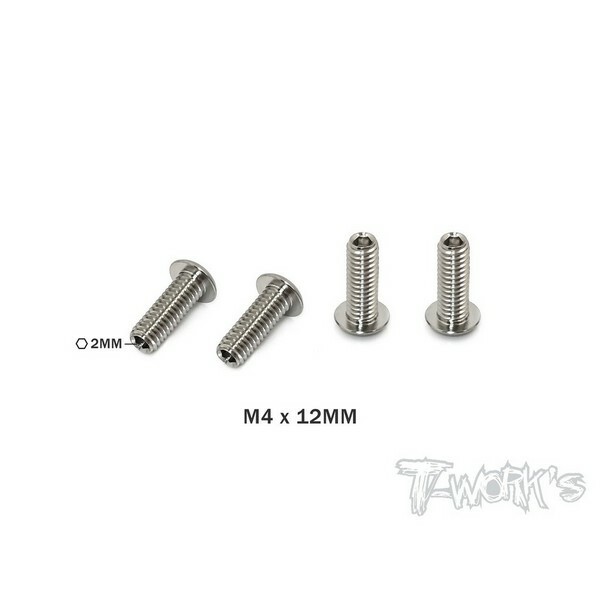 TP-087-D T-WORKS 64 Titanium Down Stop Screws ( M4 x 12mm ) 4pcs.